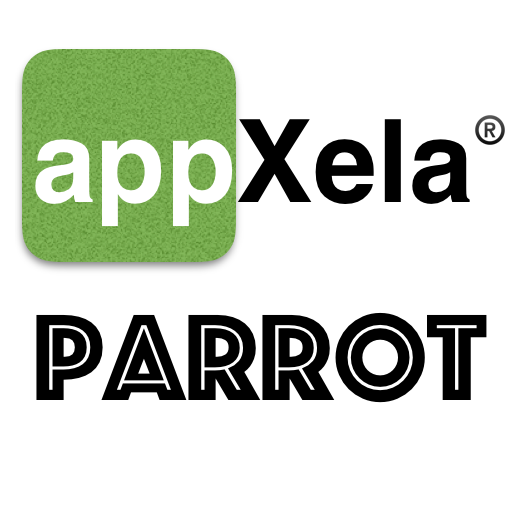 Check out our Appxela Parrot skill for Amazon Alexa/Echo! This is a learning parrot that is sure to entertain. It repeats what the user says if it is the first time it hears it. It will then learn the response to what it just heard and will use that later if it hears the same phrase again. This Alexa skill can be helpful when practicing speaking clearly either with Alexa or real people! When using an Echo Show or Echo spot will also display the spoken words so it can help you learn how to spell. This could be useful when learning American English and when practicing how to be clearly understood by Alexa. The conversation remains open until the user says cancel or stop. Talk to it in beginning as if it is an infant. It doesn't know much, not until you talk to it. The more you talk to it and answer when it prompts you or imitates you, the more it will learn and the more engaging the conversations will be. Try to have more of your friends and family talk to it. Your Appxela Parrot will learn different things than everyone else's and that what makes your Parrot unique. If you want your Parrot to forget what was said, just say erase or delete. This is just the beginning, with your help, your Parrot will get smarter over time. No need for crackers or seeds, just feed with words of wisdom and it will reward you in kind. Teaching your parrot is easy! "Sing happy birthday to Benjamin"